I want it back. 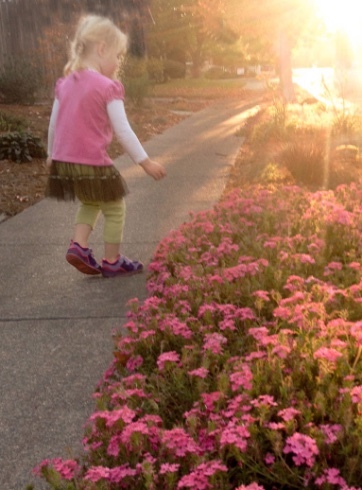 That precious sense of childhood wonder about everything. I was relaxing with my morning coffee, Pandora set to my “Amazing Grace” station, ,having a peaceful quiet time when my 3 yr.old granddaughter burst into the room. “Yes, I guess they are” I replied. Then she jumped off the bed, asked if she could clean my glasses—she LOVES to clean, and spent at least 10 minutes spraying cleaner on them and wiping it off, thrilled beyond belief at how well the game was going. I spent the rest of the morning trying, TRYING, to become 3 years old again. Three, when there is boundless joy in the simplest of things. In John 10:10 Jesus said.” I have come that they may have life and have it abundantly”. 3 yr.old Beverly seems to have discovered what that looks like. Since Jesus also said that we should become like little children to gain Heaven maybe we should spend more time surrendering some of the crazy things we chase after as adultsand instead strive for the purity and innocence of childhood. The privilege of just being here-- loved by our Creator. Do you have a love story to share? 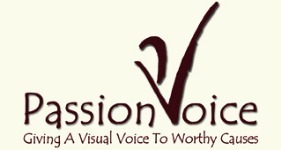 Go to www.passionvoice.org, then to “A Thousand Shades of Grace”. God bless your day!